Words: Ah! Que je goûte de douceur, from Dictionnaire de Noëls. 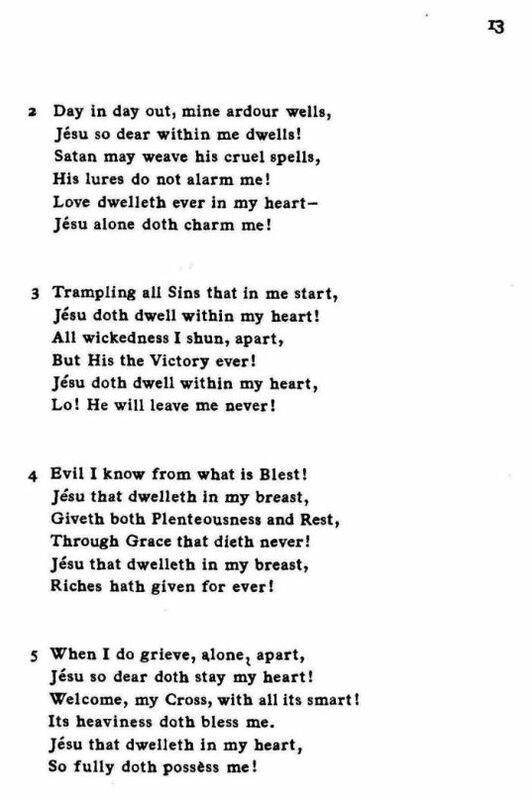 English Translation by K. W. Simpson. 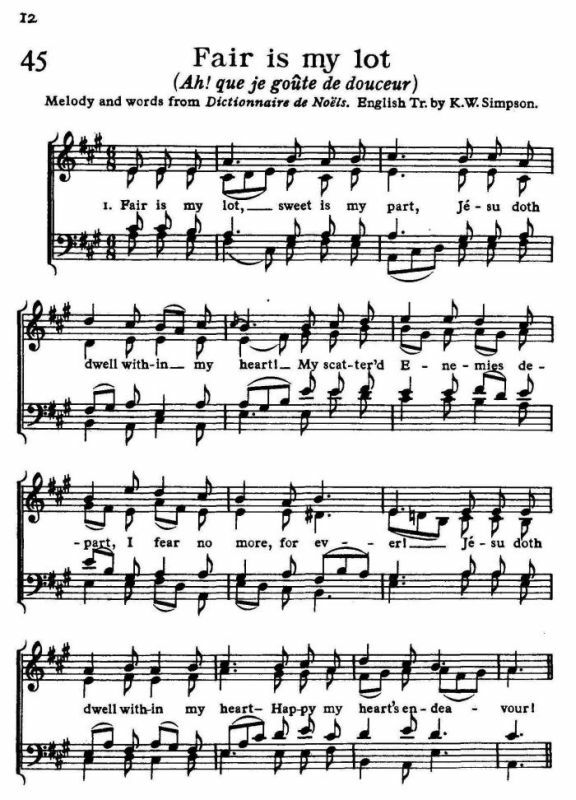 Melody from Dictionnaire de Noëls. Source: Richard Runciman Terry, Two Hundred Folk Carols (London: Burns Oates & Washbourne Limited, 1933), Carol #45, pp. 12-13. Jésu doth dwell within my heart! I fear no more, for ever! Jésu so dear within me dwells! His lures do not alarm me! Jesu alone doth charm me! But His the Victory ever! Lo! He will leave me never! 4. Evil I know from what is Blest! Through Grace that dieth never! Riches hath given for ever! Jésu so dear doth stay my heart! Welcome, by Cross, with all its smart! It's heaviness doth bless me. So fully doth possess me! Sheet Music from Richard Runciman Terry, Two Hundred Folk Carols (London: Burns Oates & Washbourne Limited, 1933), Carol #45, pp. 12-13.